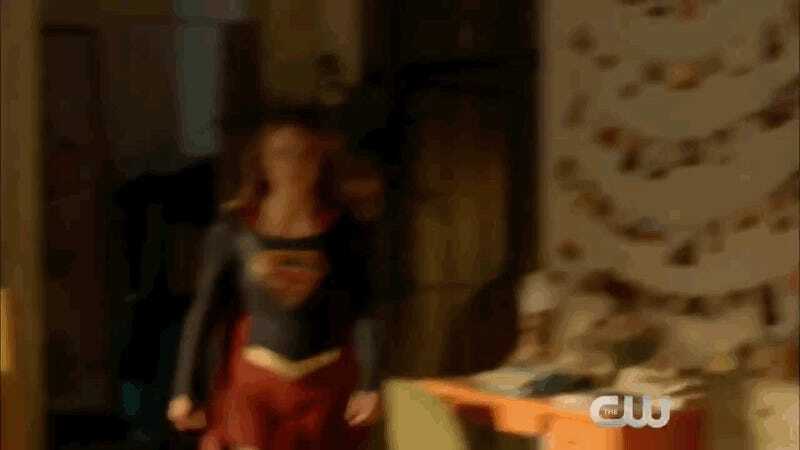 There’s about to be a new television version of Superman on the CW’s Supergirl show. Inevitably, someone’s thrown the classic 1978 Superman score behind the already released preview footage, but the results are brilliant. Yeah, the outrageous level of Superman hype leading up to season two of Supergirl has been a problem. But any anger around a disproportionate focus on Kal-El should fall away when you watch this preview using John Williams’ iconic score for the Richard Donner Superman movie, courtesy of YouTuber JasonVoorhees2011. The music has the impressive effect of underscoring how Tyler Hoechlin’s portrayal of Clark Kent links back to Christopher Reeve’s immortal embodiment of secret identity meekness. Fun fact: Did you know that I can’t hear John Williams’ Superman score—or Vince Guaraldi’s “Linus and Lucy” theme from old Peanuts cartoons—without crying? This post brought to you by a box of tissues.